Athelhampton House & Gardens is a spectacular 15th century manor house and estate five miles east of the Dorset town of Dorchester. As Athelhampton’s official creative marketing agency, CuCo have worked continuously with the organisation over the years and are incredibly proud to be responsible for their creative re-brand as well as their ongoing marketing literature! Our lovely client at Athelhampton House recently dropped by the CuCo studio with a VERY exciting project in hand! A considerable collection of glass transparencies ageing over one hundred years old were recently unearthed from the building which has stood for over five centuries. These images include stunning shots of the manor house and estate, along with portraits of the late, Thomas Hardy! A very exciting discovery for Athelhampton, and a fantastic opportunity for them to demonstrate the history and heritage of the manor house and estate! Our client requested that CuCo work our magic on these glass plates, making them feasible for future projects. Our creative team were ecstatic to be working with such treasured imagery, and set to work on making these photographs more usable. A lot of the editing involved colour correcting the images which were over exposed. This left us in possession of some stunning imagery which CuCo can now incorporate into future marketing literature projects for Athelhampton! The biggest project was a damaged portrait of one of Dorset’s most famous residents, Thomas Hardy. 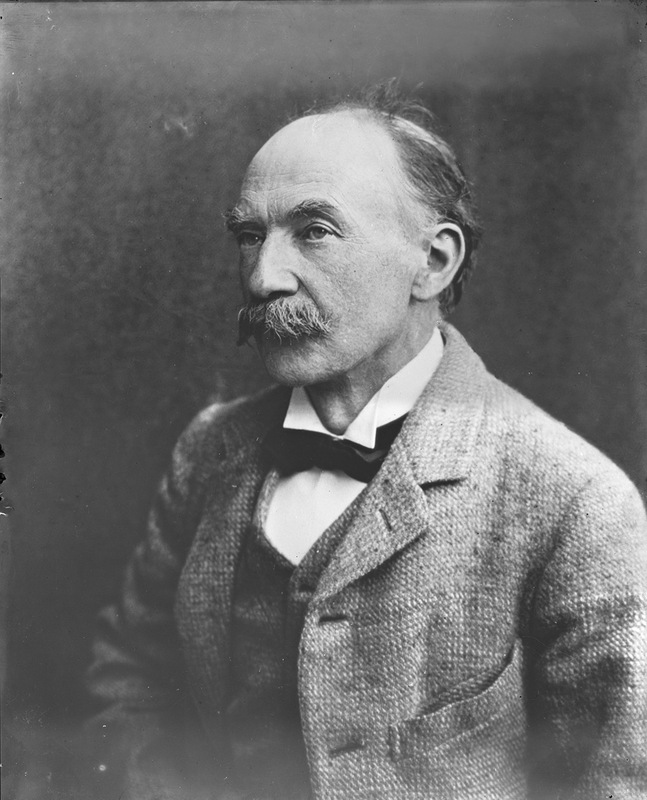 Thomas Hardy visited Athelhampton regularly as his father was a stonemason and worked on the house. It was during this time that Hardy painted a watercolour of the house, and went on to make further references to Athelhampton throughout his work in later years. This particular glass transparency was broken into eight single shards. To adhere this, CuCo’s Creative Director scanned each single shard, and stitched them back together using Photoshop. This was an extremely challenging task, as when the glass plate broke the metallic oxide which holds the image together flaked considerably. Once the image had been adhered, this flaking was extremely visible, and therefore had to be edited further to dismiss any signs that the glass transparency had ever been broken! 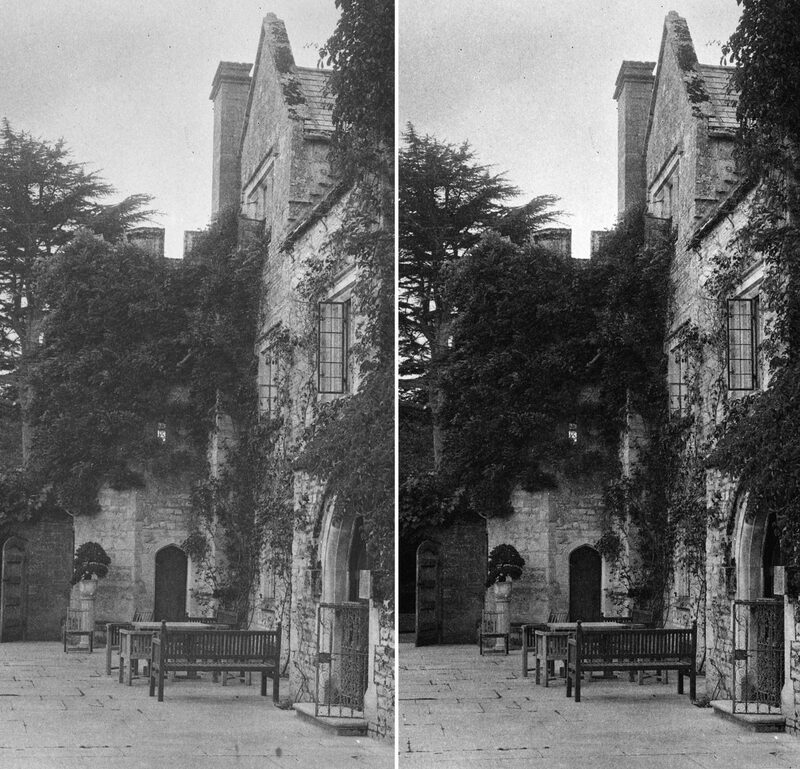 Our client was so thrilled with the results that they have gone on to display a variety of the scans that CuCo produced upon a printed montage above Athelhampton’s Coach House bar! Is your brand in the market for some expert Photoshop skills?! Here at CuCo, we’ve got you covered! Our Creative team are experts in the Adobe package and would love to see how we could help your business achieve its creative goals! Give us a call today on 01202 911959 or drop us a line at hello@cucocreative.co.uk. We can’t wait to hear from you!